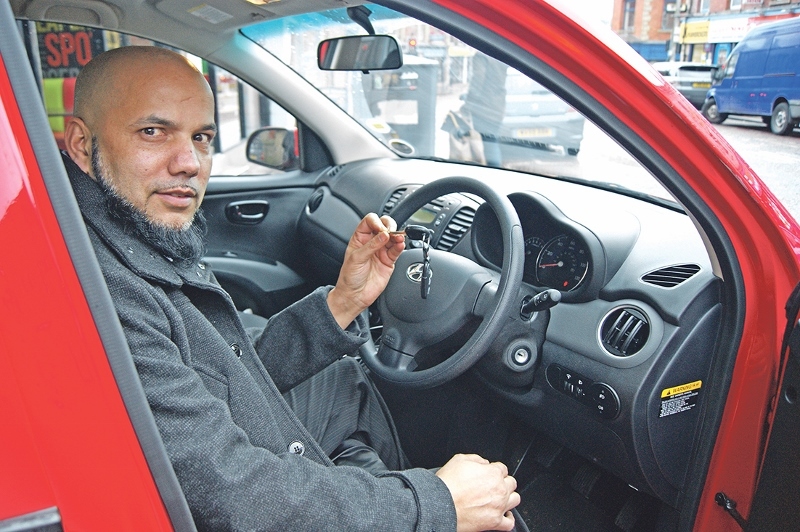 An ‘Istanbulievable’ competition, which will see four lucky takeaway owners presented with keys to brand new motors over the next 12 months, saw its first winner announced last week. Organised by Istanbul Doner to celebrate their 25th year in business, the competition looks to ‘give something back’ to customers who have helped the nationally-recognised business truly become ‘the King of Kebabs’. 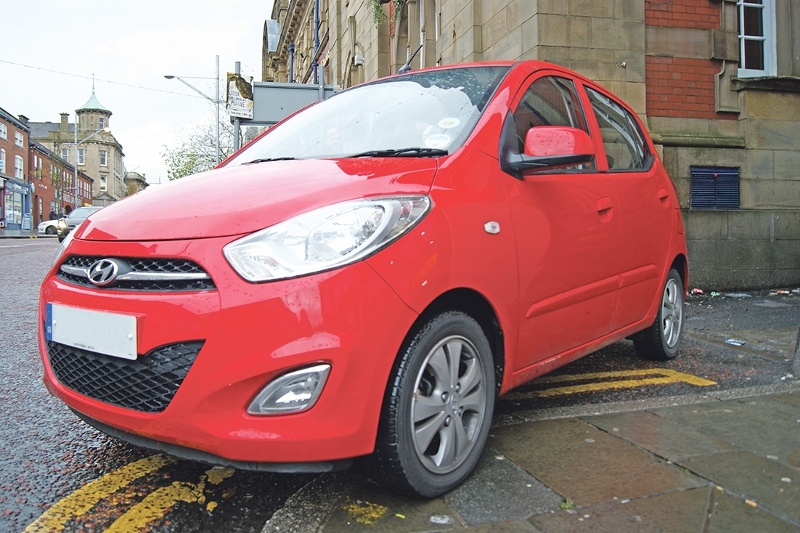 On Friday 6th November, the first winner received their new set of wheels as Blackburn-based Tasty Spot saw a dazzling Hyundai i10 pull up outside their town-centre establishment. Perfectly designed to meet all takeaway needs, the i10 offers a simply sophisticated motor which only allows Istanbul-serving takeaways to continue providing their delicious meals to the public. 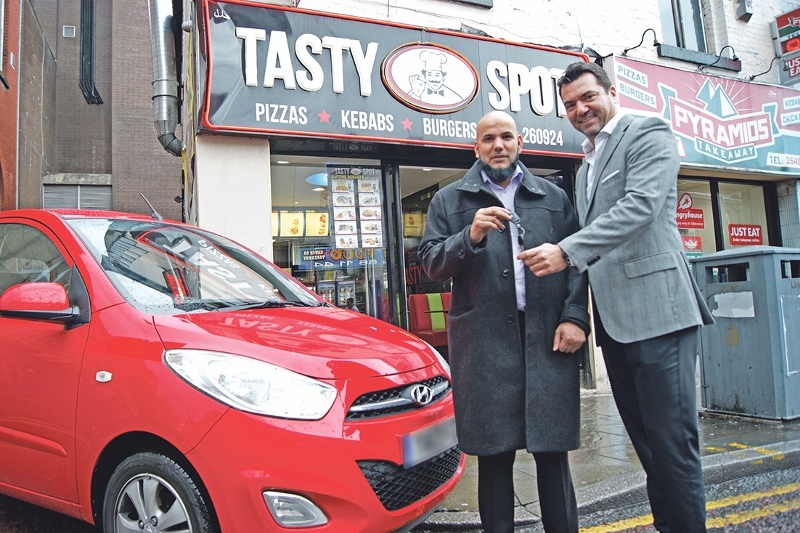 Tasty Spot’s, Azhar Mahmood, received the keys from Istanbul’s owner, Josh Agaoglu, and said he was delighted to have been the first winner of the competition. “Ever since the competition began, we have been entering with every doner kebab purchased,” he said. “We go through around eight to 10 kebabs a week so have entered numerous times in hope of winning. “I still cannot quite believe we actually won a car and a huge thank you must go to the Istanbul Doner team who we are so proud to be working with. Having previously given away a Mercedes Benz to mark 10 years of operations, Istanbul Doner decided this year that four businesses would benefit from another car giveaway. Mr Agaoglu said he was delighted to see the first winner announced and looked forward to seeing where the next vehicle would be heading. “We have great satisfaction of seeing our long, loyal customer rewarded and enjoying being Istanbul customers,” he said. “Everybody deserves to share in our success because we have only been able to achieve what we have thanks to our workforce and of course customers.